You are here: Home / Blog / Practical Gift Guide: Useful Not Boring! *Disclosure: All gifts in this guide are products I actually own or want to own. It includes Amazon Affiliate links. I was gifted some items in exchange for my honest review, which is stated in the post below. My opinion is all my own, and I only recommend products I actually love! Please see here for more info. As I get older, my idea of what constitutes a great gift has definitely changed. I enjoy getting things that I can use, that make my life easier, and that don’t just take up space in the closet. It’s what I consider a practical gift. Sure. I’m not going to refuse a cute Hello Kitty stuffed animal or another cute jacket that I really don’t need, but I’m trying to cut down on the clutter in our house. And Laundry. As a mom, I also appreciate practical gifts for my kids. Yes, they loved the Hot Wheels Garage I got them last year. For about 10 minutes. Then, they lost part of a ramp, broke the elevator, and got bored. It now sits in pieces in our garage. Collecting dust. So, I came up with a gift guide full of things that everyone in your family can actually use. It doesn’t mean they have to be boring. A practical gift can still be a fun gift! Since it’s my list, I’m starting with the things I would love this Christmas. Everything on this list I would either love to receive, or I already own and use. I have included my Amazon Affiliate links, as well as a company affiliate link. This means you can click-through the picture to get directly to the product. If you make a purchase, there is no additional charge to you, and I earn a commission. If you have any questions, please see my Disclosure Policy. I don’t know about you, but I’m always cold. Especially, in our lovely Wisconsin weather. Since our heating bill is ridiculous, I’ve found a way to be warm and save our family money. Newair was generous enough to send me this portable ceramic space heater in exchange for my honest opinion. I LOVE it!!! It is called the Quietheat15, and it definitely lives up to its name. It is super quiet, heats up fast, and warms my entire bedroom. I also move it into our computer room while I’m blogging, and it keeps me nice and toasty…especially my toes, which permanently seem to be ice-cold. Even though this may not seem like an exciting gift, it really is a great one. It looks more elegant than your normal space heater, it doesn’t make that annoying buzzing noise, and it makes me super comfortable. Sounds like a perfect gift to me! If you would like your own Quietheat15, click HERE. You will save 20% when using the code SHANNEVA. Now, it’s an even better gift!! These 2 items are pretty hot this year, and right on the top of my wish list. They both save time, and allow you to make healthy meals for your family. Since I’m not the best in the kitchen, I need something that is easy to use, and that I WILL actually use. From the reviews of friends, I truly believe they will both make my life easier, food more tasty, and really give us more variety in what we eat. The first is the Insta Pot. It’s a pressure cooker that can cook meals in about 8 minutes, hard boil eggs, make yogurt, rice, and much more. I’m sure there is a learning curve to using this machine, but if it helps me make new, quick meals, I think it’s a great gift for anyone that wants to cut down their time in the kitchen…or that doesn’t have a lot of time or creative cooking skills. Next is the air fryer by FrenchMay. Not only can you make french fries and onion rings, but you can also roast vegetables with little to no oil. It makes those traditionally unhealthy choices healthier, and makes the healthy ones tasty. I don’t know about you, but when I take time to do my hair, my make-up, or even shower, I feel better about myself. 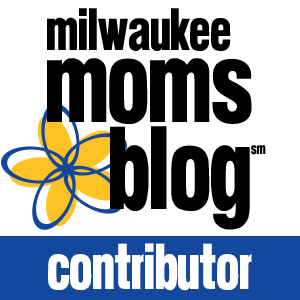 Self-care is important as a mom, even though it is often hard to find the time. One thing I often skip, is shaving my legs. However, now that I workout a lot, and often wear capri pants, shaving has become more important. 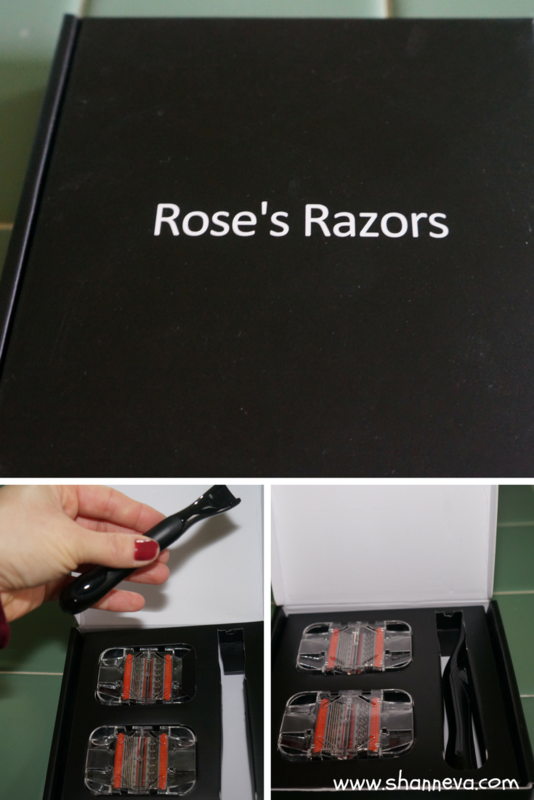 So, when Rose’s Razors asked if they could send me a sample pack, I didn’t even hesitate. Disposable razors can get expensive, and it’s hard to find ones that do a good job without cutting up your legs. These razors are shipped to you, priced great, and do an awesome job. No more shopping for razors, and a closer shave with less cuts? Yes please! Plus, the handle is sleek and comfortable. It made shaving much easier! I always have the hardest time shopping for the men in my life. You can only get someone so many ties and wallets. So, I racked my brain to think about what they like doing best, and I came up with some ideas. Who doesn’t like a cold beverage? Plus, if your hand doesn’t have to be cold while drinking it, even better! This Yeti holds both cans and bottles, keeps them cold, doesn’t sweat, so your hands don’t get wet or cold, and it fits in a cup holder. It doesn’t just have to be for beer either. Although, we all know that’s what my husband will use it for. My husband got me my own Yeti last year, and I love it. It really keeps the ice from melting in your drink or keeps your coffee/tea hot for hours and hours. They’ve made a nice upgrade to the design, so I thought I would get him one of his own. Not Stepping on Sharp Objects is fun! Does your husband constantly leave nails, screws, or tools just lying around? No, just mine? Well, I found these cool little wrist gadgets that are like giant magnets. They keep your screws, nails, and even small tools right wear you can find them while you’re working on your project. It also makes clean-up so much easier. Now, if only they made one of these for Legos for my boys…those things really hurt when you step on them! This next item is both a practical gift, yet super cute. My husband is a huge VW fan, and even has his own bus in our garage. He loves getting VW merchandise, and this was one of his favorites. Not only is it an adorable VW Bus, but it is an insulated lunch box! Your guy can bring his lunch to work in style. Or he can also put his beer in here too. I think I’ve found some winners! Learning and playing naturally go together. When Get Qurious contacted me about trying their Explorer Box, I thought it sounded like an awesome idea. My boys fit right in the age range, 4 years to 8 years old, and it combines imaginative play with STEM learning ideas. 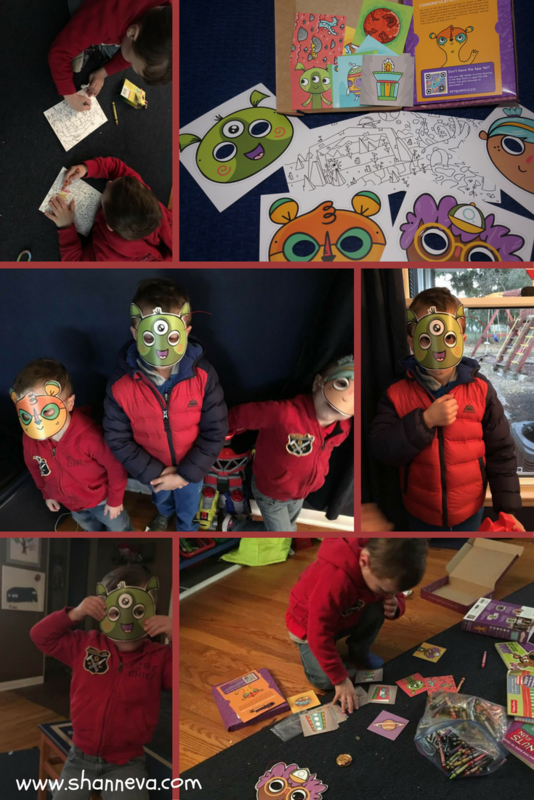 It has physical pieces, like masks and coloring pages, and a virtual reality component that you can do from your phone to help it come to life. The twins are all about coloring right now, so they loved it. I also couldn’t get the masks off them. They had so much fun with everything in the box, that we didn’t use the app right away. When we did, there was so many different things to do, we hardly scratched the surface. This box is going to keep my boys busy for a long time! I loved that it had enough to entertain all three boys at their different skill levels too. Moving and Coordination are Fun! Mr. B isn’t my most coordinated child, but when he asked for roller skates/blades for his birthday, I thought it was a great idea. They will be visiting a skating center for a school field trip to learn about balance, so I figured he’d better practice first. I decided on roller skates instead of blades, since they are a little easier on his ankles. I also found an adjustable pair, so when his feet grow again in 2 weeks, they will still fit. Our neighbor suggested he practice on carpet first, and it’s been really helpful. It slows him down, and doesn’t hurt as much when he falls. The twins both had to try, and I’m getting them each a pair for Christmas. No gift guide for kids would be complete without Legos. All my boys love them, and all of my nieces love them, so I know they are great for both boys and girls. You can’t go wrong with this classic box. It allows you to make your own creations again and again. Plus, they are great for a wide range of ages. Even my husband still likes to build! If nothing popped out at you, or you just don’t want to give more “stuff,” then I have the best idea for you. Make a donation on behalf of someone…or just for yourself. I support 2 amazing charities, and they are always looking for help. To make a donation to the March of Dimes, please click HERE. To support the TTTS Foundation, please click HERE. If you don’t want to just donate money, how about your time? Or bring a collection of toiletries, baby clothes, and toys to your local Ronald McDonald House, NICU, or support a local Toy Drive. Sometimes giving is the best gift you can give yourself because helping others is what this holiday season is all about. So, there you have it. A gift guide that is both practical and fun. I hope you find something for everyone on your list. Still looking for more inspiration? 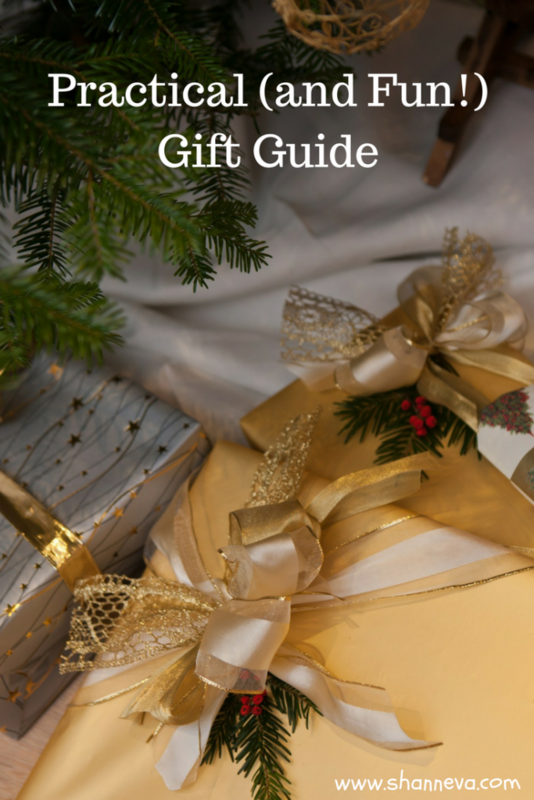 Check out my Stocking Stuffer Guide and my Last-Minute Gift Guide too. Fun and practical – those are always the best gifts, honestly! I’ve been dying for an Instant Pot! Great ideas here! We have a small heater like that and turn it on in our bathroom on winter mornings. That thing is WONDERFUL! You found so many fun gifts. I can do all my shopping here, thanks for the suggestions. Ooh that heater sounds awesome. I’m always cold! It’s ridiculous. These are all fun ideas! I know my oldest niece and nephew love crafty things or stuff they can be a bit DIY with, so I got them both craft kits this year. Great suggestions! I’ve been curious about both the Insta Pot and the Air Fryer. I’ve heard great things about both of them! These are all such good ideas! I am super interested in that air fryer, I have never heard of that before but it sounds awesome! That instapot sounds awesome! I need to look into that! This is a great gift list! That space heater looks cool and I have heard so many great things about Instapot. What a great guide! As I’ve gotten older, I’ve also gained a deeper appreciation for practical gifts – like socks! Haha…but really…I’m eyeing that heater. The family I babysit for has something similar, and I’m in love with it! Such a great selection of gifts girl. I really love the VW bus lunch bag, though. I need that space heater like yesterday!